Two years ago, I remember stepping onto my back patio at halftime of the Super Bowl, starting the grill, and breathing in the cold February air. The neighborhood was silent. I stood there, enjoying the quiet while the crispness of the air battled with the warmth from the grill. It was the best I had felt in hours. The first half did not go as anyone in Denver had hoped. From the first offensive play of the game, a snap that sailed over the head of Peyton Manning for a safety, the Broncos looked outclassed, out-coached, and out of hope. The most promising season in recent Bronco history was sadly disintegrating on the field at MetLife Stadium. Tomorrow, we get to try again. 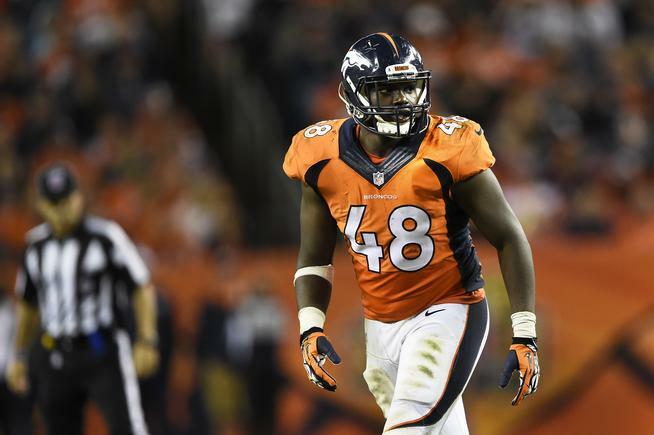 The Broncos are facing off against a scary-good Carolina Panthers team. Boasting a stout defense, a dynamic ground game, and the likely 2015 NFL MVP, the Panthers are understandably favored against a team that has the number one defense in the league (but a stagnant offense). In order to win the game, the Broncos have to contain Cam Newton and their running backs on first and second down to pit the strength of the Denver D against the Carolina's weakest link - 3rd and long passing situations. On the other side of the ball, the Denver offense needs to limit turnovers, catch the damn ball, and stay productive enough to keep the defense rested and Cam Newton on the sidelines. I honestly cannot predict how this game will play out. Regardless of the final score, I am going to be glued to the television for one major reason - Peyton Manning. The Sheriff arrived in Denver in the years following Josh McDaniels, Tim Tebow, and and 8-8 season that included the thrilling OT victory over the Steelers in the Wild Card round of the playoffs. Manning's free agent signing signaled the end of Tebowmania and the start of an incredible run for the Broncos. Over the next four seasons, the Broncos had a record of 50-14. FIFTY AND FOURTEEN. To compare, the Browns have not won 50 games in the last 20 seasons1. The four Broncos seasons with Manning have produced four AFC West titles, four trips to the playoffs, and three incredibly disappointing playoff exits. Season one of PFM ended with the bitter Divisional Round loss to the Baltimore Ravens. 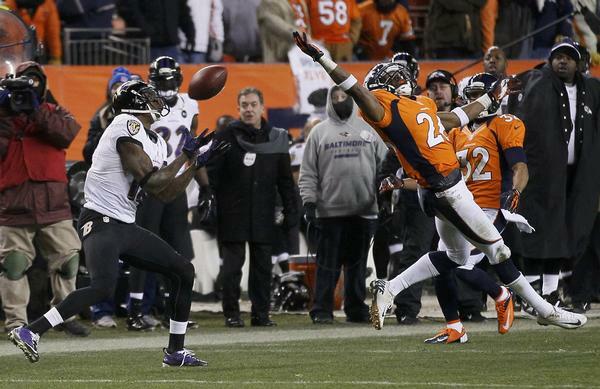 People in Denver remember this as the Rahim Moore game. (Side note - WHO LETS A DEFENDER GET BEHIND YOU LIKE THAT?!!). Season two ended with the aforementioned Super Bowl debacle at the hands of the Seattle Seachickens. Season three ended with an embarrassing home Divisional Round loss to Andrew Luck and the Indianapolis Colts. With Super Bowl 50 being (most likely) Peyton's last game, this trend of playoff collapses can disappear with just one victory. But let's say that the Panthers end up winning the game. I know what will be the discourse around the country - Peyton is great, BUT. . . I have heard around Denver that because the Broncos have failed to win the Super Bowl since Manning landed at Dove Valley that his tenure here has been a failure. If you honestly believe this crap, do yourself a favor and open hand slap yourself (to steal a line from Vic Lombardi). The Broncos never won less than 12 games in a season, won the AFC West title every year, and are perennial Super Bowl contenders. Those teams also had a few seasons with a powerhouse offense putting up Star Wars numbers and a season where their defense was the best in the league. They have been entertaining and successful and a pleasure to watch. Again, this stretch followed Josh McDaniels and Tim Tebow. TIM TEBOW! 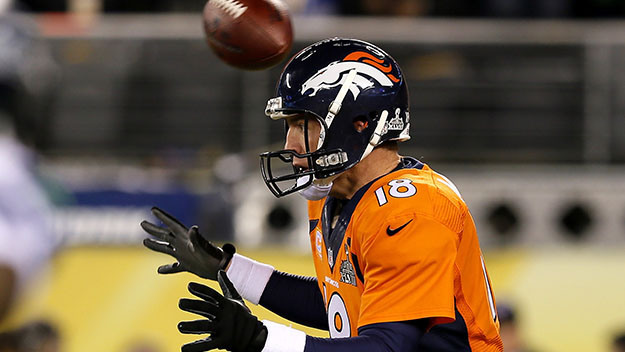 Peyton is a wizard. 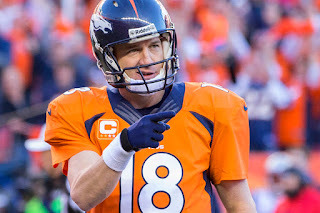 Should the Broncos lose the Super Bowl tomorrow, I hope that Broncos fans can recognize the greatness that we got to watch every Sunday and thank Peyton Manning for an incredible run. I know I will. Go Broncos!! And go Shaq Barrett!! 1 - This statistic may or may not be completely accurate.